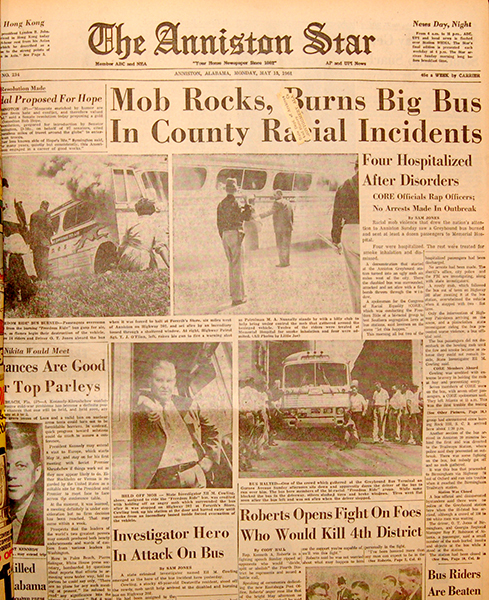 The front page of the Anniston Star from May 15, 1961, reporting attacks on Freedom Riders during the civil rights movement. The Star was founded in the early 1910s with the merger of the Anniston Evening Starand the Anniston Hot Blast. The Star is nationally respected as a high-quality and independent media source.